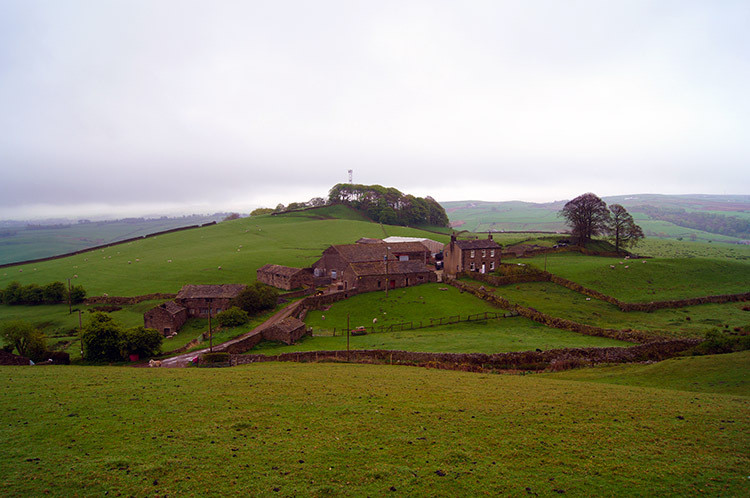 Summary: This artistic and heritage themed walk can start from anywhere accessible on the circuit, the best points to start being either Crown Point where I chose to start from or from Towneley Hall. There is much interest throughout, some natural, some not so as creative works by men, women and schoolchildren have added value to this delightful semi urban walk. Make sure you keep looking for surprises on your way round. The Walk: The Wayside Arts Trail is full of surprises. 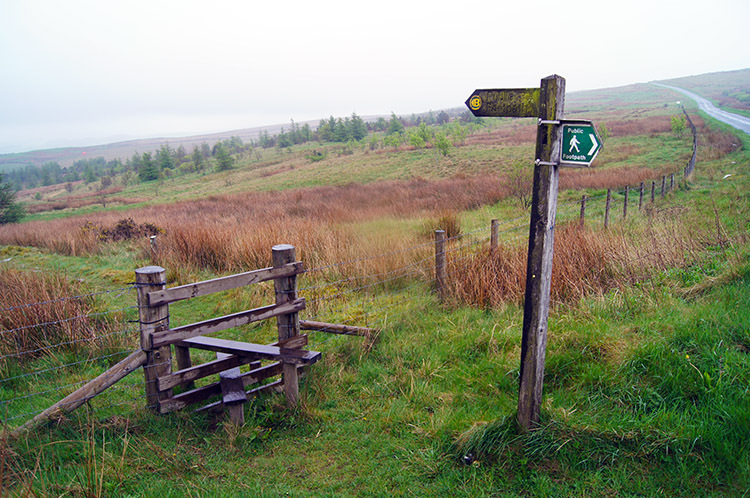 Just after starting from Crown Point the path leads up to Burnley’s Panopticon, ‘Singing Ringing Tree’. 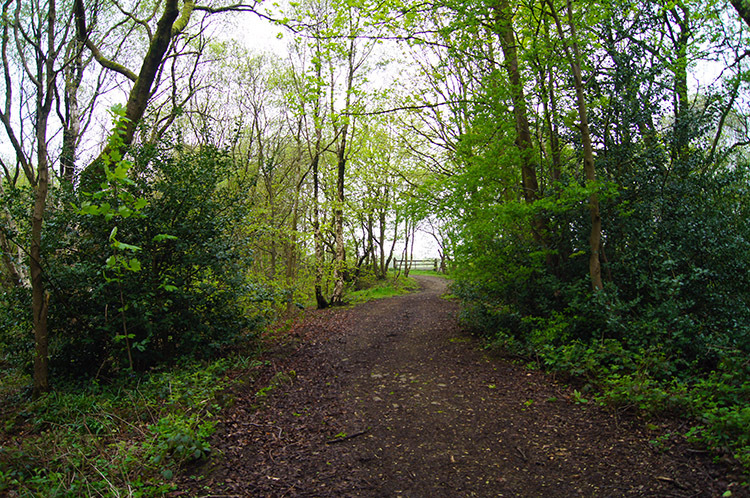 It is the result of a collaboration between Land, the Forest of Burnley and other local partners to create a family orientated walk along the section of the Burnley Way between Towneley Park and Crown Point. It features 12 unique way posts carved from local green oak by sculptor Martyn Bednarczuk, carved brick way markers made by local schoolchildren working with artist Julie Miles, and a replica brick kiln created by Julie Miles using designs by schoolchildren. Make sure you look out for these works of art after passing Towneley Hall but before you get there keep looking out for other interesting features including a rubber version of the Loch Ness Monster! Let us go and find out more shall we. 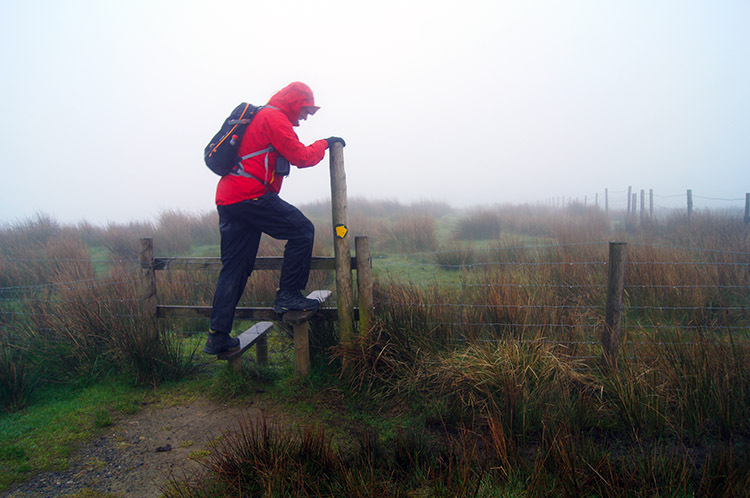 A shame it was overcast when I arrived at the starting point for this much anticipated walk, my cousin John had told me the views from Crown Point across to the east were excellent with all of Burnley and East Lancashire to see. Alas all I could see was grey. Still I anticipated much as there were lots of places of local interest to enjoy and I was also looking forward to seeing the Singing Ringing Tree and the animal sculptures around the trail. Even more enjoyable was the company of Adam Gallimore, otherwise known as the Great Gallymo who I had first met during a couple of walks in Snowdonia last year (2013). My cousin John also met me and Adam at the start; illness disallowed him walking the entire Wayside Trail with us but he was still keen to walk with us from the start to the Singing Ringing Tree. This was a good thing, in the thick mist hanging over Crown Point we could easily have missed it. And so, in appalling conditions, we set off on our way, weather not stopping us, from the car park on the high point of Crown Point Road along a fenced path first in a direction north east and then due east to reach the Singing Ringing Tree sculpture. 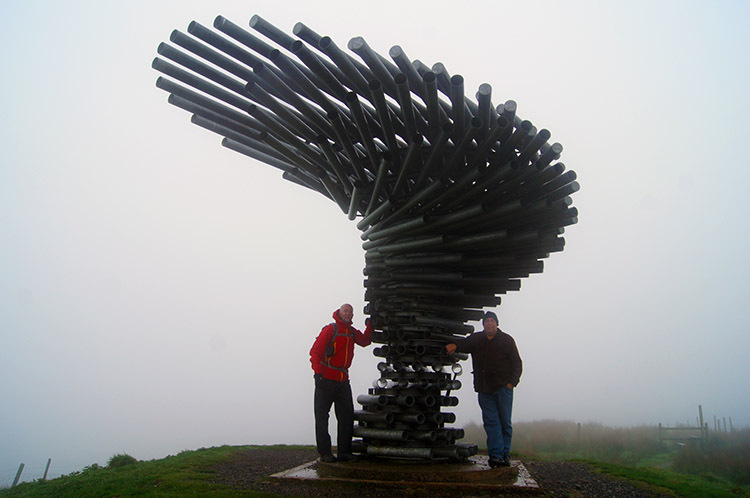 Designed by architects Mike Tonkin and Anna Liu, the sculpture is a 3 metre tall construction comprising galvanised steel pipes which harness the energy of the wind to produce sounds. Today though there was no orchestral overtures, just as Adam put it "the sound of an aircraft flying high over us". It was disappointing not to hear the tree singing its best but the sculpture is impressive as it stands and well worth visiting even in becalmed conditions when there is no sound at all. We stayed a while, hoping for more choral notes but to no avail and after five minutes we bade John goodbye, promising to meet up with him for a cafe visit at the end of the walk. We continued on over the moor, with the intention of keeping on the right track. We failed to do for one short field, my mistake for not orienteering, which I corrected by checking my GPS and then tracking back over to the true line. Can you see the Loch Ness Monster? After descending 100 metres in the first kilometer of walking we emerged from the clag and to the views I had been promised by John. Not as widespread as I had hoped for we were now lower and still descending. Ahead of us we could see Dixon Hill and beyond it, over the Bacup Road another small hill with a transmitter behind the buildings of Dyneley Farm. By checking the map Adam and I visually worked out the line and I put the GPS back into my pocket, temporarily redundant. As we headed down Dixon Hill we spotted an odd unnatural scene in a field to the other side of a wall. Was it the Loch Ness Monster? Or just a series of tyres dug halfway into the ground to resemble a serpent. Was it part of the Burnley Wayside Arts Trail or a hoax? Whichever it captured our interest. At the bottom of the hill we came to a railway and went under it via a tunnel to reach Walk Mill/ Cliviger. On crossing Burnley Road and then walking through a quiet estate we reached Broad Ing. The rain, or was it just damp in the cloud of Crown Point was now gone and though it was overcast and a little depressing at least it was dry. After fording a beck which we should have not had to, another slight unnecessary detour, we crossed the deep green fields of Broad Ing which led us to the grounds of Towneley Hall. First we came to the edge of playing fields but nobody was playing. A single large Crow perched on the crossbar of a football goal and watched us walk by. As we walked beside the playing fields we passed a few people heading in the opposite direction and passed courtesies with each one. The last walker was a man carrying a bag. "A poacher" surmised Adam. 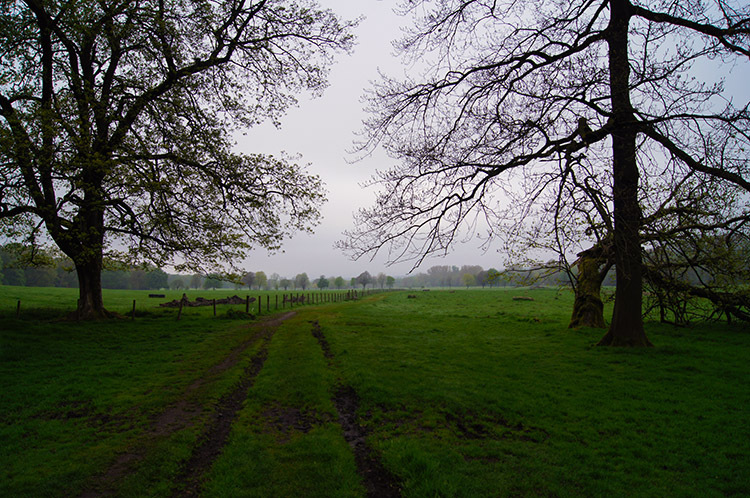 we took a dogleg turn right to follow Deer Park Road directly towards Towneley Hall. As we walked up the road we approached a group of ladies who had been hurtling down the road at quite a pace just before us. All had been pushing children in buggies. We reached them and chatted away. All were good hearted and were pleased to tell us they were members of a Mothers keep fit club. Good for them. Adam and I had a good look around the grounds and gardens of Towneley Hall. 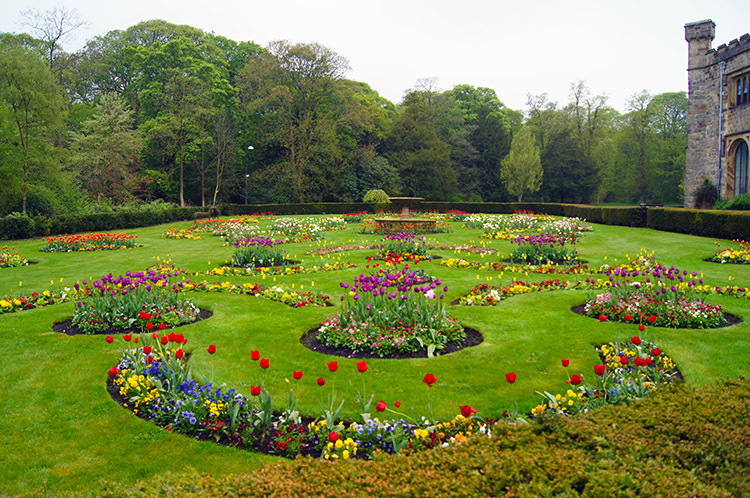 It is the most popular park in Burnley and it is easy to see why. As we walked through there were a good number of people tending the gardens and grounds. All we spoke to were very polite, a credit to them being so accommodating to visitors while they worked. I was impressed by the colourful show of the flower garden which at this time of year, being in May, was dominated by tulips. From the hall we walked out of the grounds via a long straight tree lined avenue to Foldys Cross. 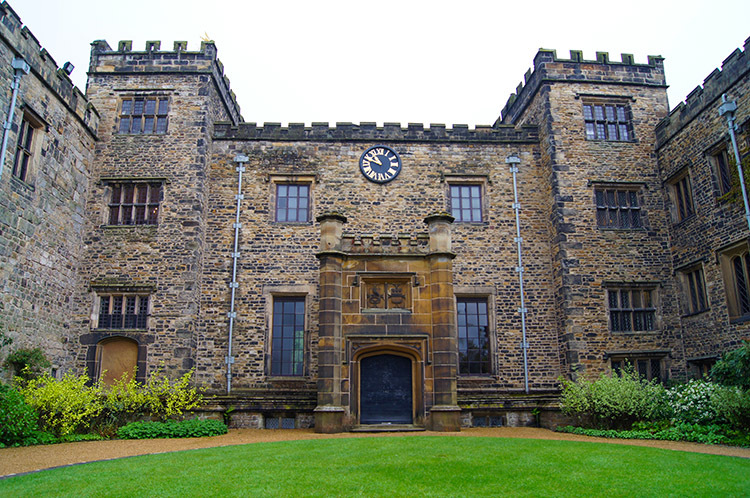 It was built in 1520 and restored by Burnley Corporation in 1911. The inscription reads 'Pray for the soul of John Foldys, chaplain, who caused this cross to be made in the year of Our Lord 1520'. That is a long time ago. After leaving the grounds of Towneley Hall and crossing the A671 we climbed up a bank and though woodland to cross over a railway we followed the Burnley Way parallel to the line. 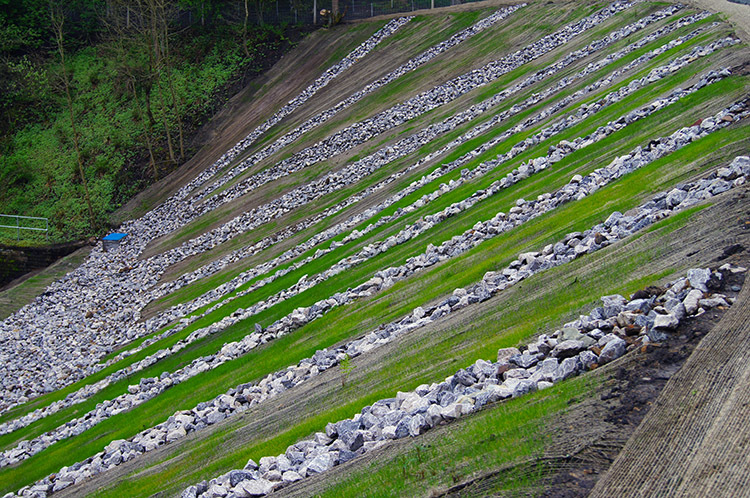 Major works had been done on the railway embankments and on the Burnley Way footpath, all aesthetically pleasing. The area we were now walking through is called Coke Ovens on the map and near the railway a series of Victorian coke ovens could once be found, a reminder of the industrial activity that took place in this area, including coal mining, fire-clay extraction and brick making. 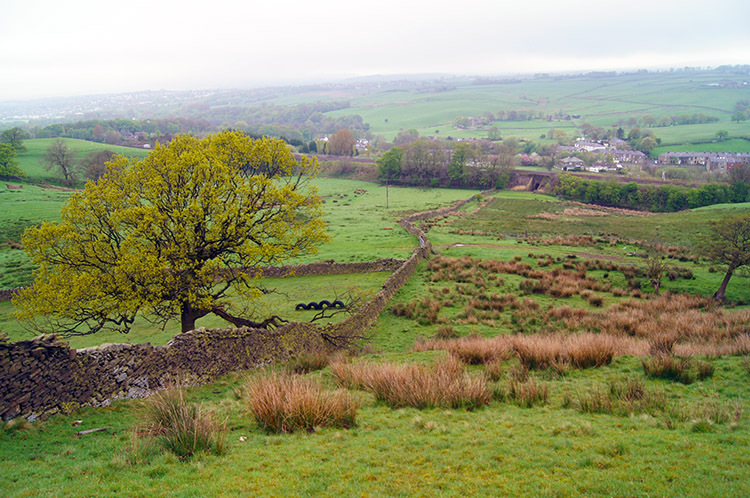 Perhaps, as this walk is a heritage and arts trail, a replica of a coke oven could be built beside the Burnley Way. Continuing on through the area of Coke Ovens, which apart from a short detour into a new housing estate was predominantly lovely deciduous woodland, Adam and I started to spot the sculpted animal figures on Burnley Way marker posts. There were birds, rodents and small furry animals among them, some a little difficult to work out in their weathered states. 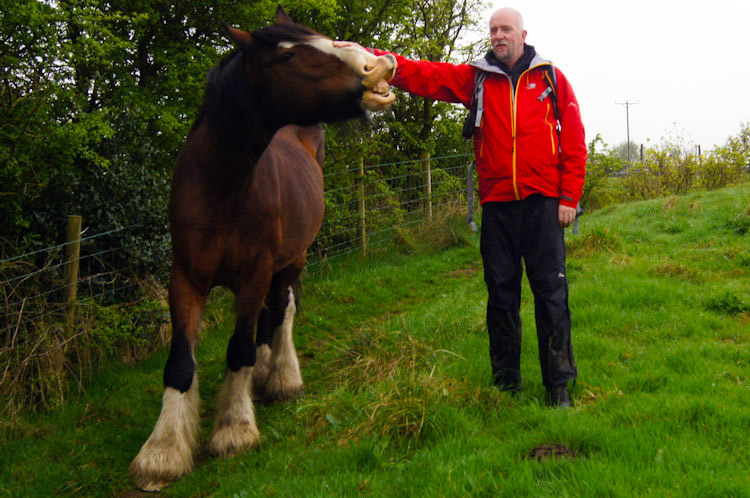 After crossing yet another road, there are a few on this walk so take care, we climbed a bank to a field above houses which sheltered two large shire horses. Both were friendly enough but not too keen on petting as Adam found out when one bit him lightly when he tried to be over friendly with it. It did not want to hurt him, just a gentle 'get away with yer' reminder. 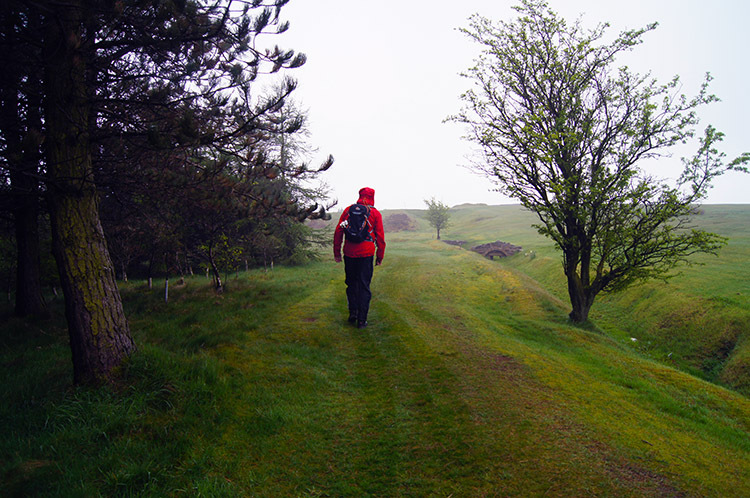 The final stage of the walk took us up onto the moorland once more. Part of it was sprucely maintained as part of Burnley Golf Course but away from the manicured fairways and greens it was more natural. 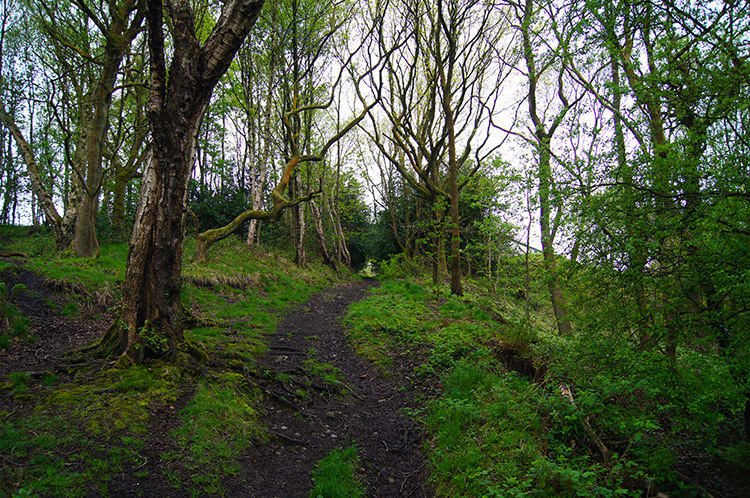 In the area of Copy Clough a new plantation was springing up as there were on other stretches of the final mile, the last plantation at Crown Point being a memorial plantation. 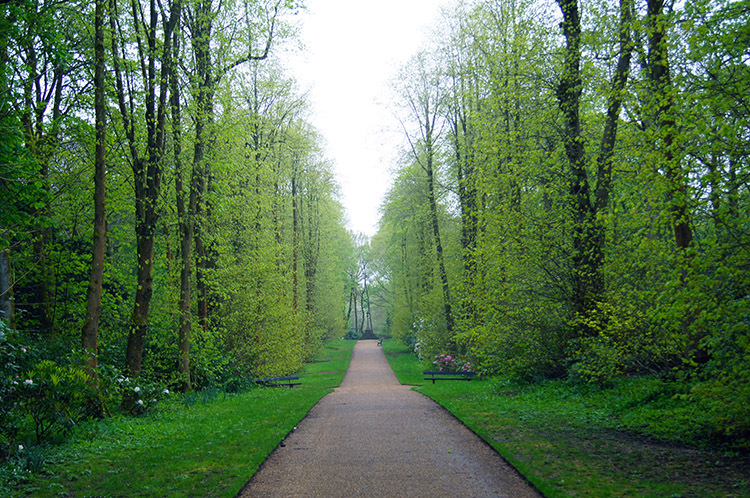 In fact we were in Memorial Forest, a Life for a Life site where every tree is dedicated to a loved one. It was a solemn and appropriate place for Adam and I to finish our walk. On reaching the car park we found John waiting for us, and as the rain had set in once more we asked him to take us to a cafe for a much needed warm brew. He led us to a cafe on the A646 just south of Towneley Hall. It was great, had a super atmosphere, friendly staff and it was inexpensive. It was also very busy which is always a good sign. I recommend it, a perfect place to chill out after a walk. We did.